In the medieval days, it was a common enough sight to see a knights heraldry emblazoned on his shield. 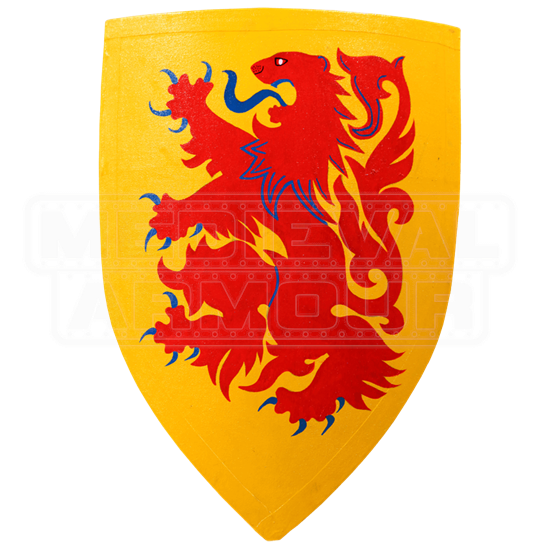 This Wooden Crusader Lion Shield features a red rampant lion as the main charge, set against a bright field. 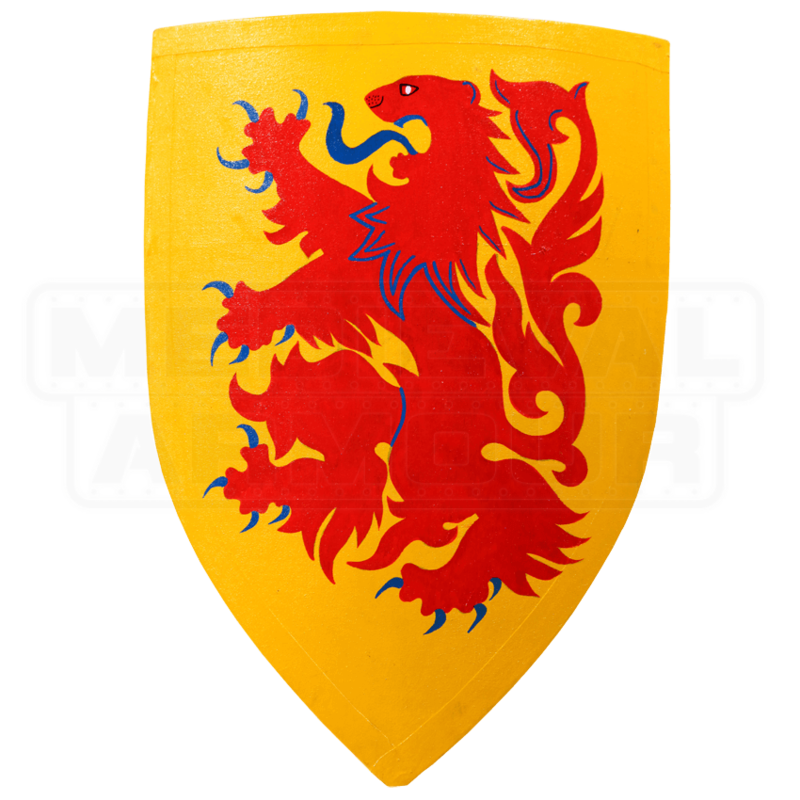 This shield is made from quality wood and is a fully functional medieval shield. It is modeled after the typical heater shield that was used around the mid 13th century and later. Like its medieval predecessor, this shield has a flat top and a triangular shape, with rounded sides that come to a bottom point. The lion stands aloft of one hind leg, while the others appear ready to attack. Its jaws are open as if about to bite (note that it could also be considered a salient lion, which is a leaping or pouncing lion, with all its paws taken off the ground). Simple and yet stunning in its design, this Wooden Crusader Lion Shield is a fantastic defense to carry into battle, and when you are not blocking attacks with it, it also makes a great display piece that you can hang on your wall to honor all of your battles and all of your victories.